Usually, light from the sky is polarized due to reflections and dispersions in the air. Circular polarizing filters cut these reflections, making the sky bluer or intensifying colours. 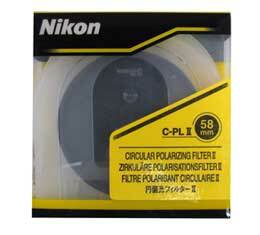 This filter is a 58mm thread size.